Red sawtooth stripe on a white background. Pattern measures 1" point to point. 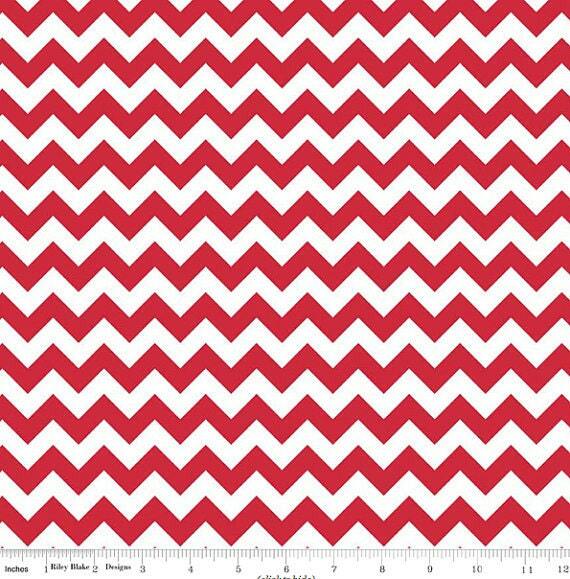 Chevron is printed the length of the fabric which is parallel to the selvage.